The Persian leopard Panthera pardus saxicolor is listed as “Endangered” in the IUCN Red List. 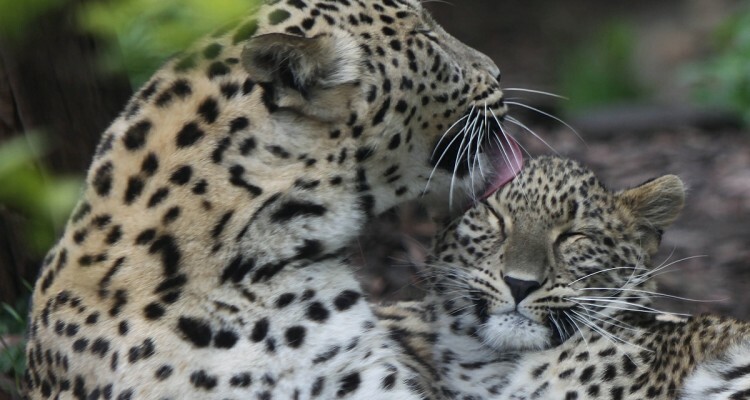 The leopard is the flagship species for the conservation and sustainable use of wild ungulates, protection of core habitats and corridors, awareness building, and transboundary cooperation in the entire Caucasus eco-region. Since 2006, the IUCN/SSC Cat Specialist Group has been involved in strategic planning for the recovery of the leopard, and KORA has been supporting capacity building. The recovery of the Persian leopard in the Caucasus now needs a concerted and well guided effort. This project will allow to improve conceptual approaches and to implement more efficient conservation measures for the recovery of the leopard in the Caucasus eco-region. This will be achieved by facilitating conservation planning, providing guidance throughout the implementation process, supporting capacity building, as well as by monitoring the focal species and the effectiveness of the conservation activities. To revise, in a participatory approach, the Regional Conservation Strategy for the recovery and conservation of the leopard in the Caucasus and to support the update and adaptation of National Action Plans as implementation tools for the Strategy. To oversee the implementation of the conservation activities (from the Strategy and the National Action Plans), review regularly the monitoring results and the progress made, and to assist the adaptation of the approaches wherever needed.